Underrated? He plays with the best WR core in college football by far, they have probably five maybe six pro WR prospects he can throw to. Have a pro prospect TE in Farrell, two RBs who will get a shot at the NFL as well. Now is he better than JT? Sure JT Barrett was awful especially late in his career but still got the starting job because of his 'leadership'. But yeah Haskins dominated this past weekend and was put on a passing show. Could he be drafted in the 1st round this year, sure. But he still has to prove some things, one cannot just throw sallow crossing routes all day long in the NFL. Oh wait in some ways you totally can do that also sadly. But he does have to prove a little more what he can do under pressure, without as much talent around him and being consistent over a longer period of time. Would I take Haskins over any of the QBs drafted in the 1st round coming out of college in the last four years? No I would not, just lucky for him this up coming QB class is not super strong or full of absolute stars. If he comes back for 2020 he would be in consideration for a top 5 pick maybe. This year, no give me those other guys over him especially up that high. In terms of QBs give me Grier over him, as well as Herbert and possibly Finley as well. So underrated? No just no quite ready but could take advantage of a QB desperate NFL and be picked higher than he should be right now. Will see what he does against Alabama potentially if Bama wins this weekend. Saying he is the best QB Ohio State has ever had is not saying much at all. There has basically never been a great QB in the NFL from Ohio State ever, especially of late. The top Ohio State QB in the NFL currently is Cardale Jones, yeah. Yes I would have taken Paxton Lynch or Lamar Jackson over Haskins coming out of college. Jackson has insane athletic ability, probably runs a sub 4.3 40 and has a cannon, his upside is huge and sure looking at it now Lynch is terrible but coming out of college he was very promising. 6-7 athletic QB with a strong arm and a good amount of upside. Sure he is bad now but did not look like a bad prospect coming out of college and I am not going to lie about that. Finley has far superior mechanics in the pocket and a longer track record of success. He is more stable I would say and move proven especially under fire. I like him a lot, sure Haskins might have more upside but that can be just an assumption because he is younger. Oh and Finley is smart as hell, but at times that can be a bad thing also. Will see how he does against Alabama potentially or Clemson. Sure was great against Michigan, and yes broke Brees passing records for the Big Ten, but it is obviously in a time where defense is almost impossible and they can do nothing to stop offenses because of the rule changes. Great for people that like points but yeah it was a lot harder to pass the ball especially when Brees played in college and look at the WRs he had to throw to. And I will tell you this much, Haskins will never be as great as Drew Brees is in my opinion, no way. Not even close to Brees as a prospect, leader or a competitor. Haskins will be a first round pick if he comes out most definitely, but if he goes back to Ohio State he could challenge Tua for 1st overall. My biggest problem with Haskins is his footwork. He's usually sluggish to follow through with his back leg and over-strides on his front foot instead of pivoting. Why I think he could go No. 1 in 2020 is that when his footwork is good, he'll make some perfectly accurate, gunshot throws. If he plays with perfect footwork consistently instead of once in a while, he could be a special prospect, and I think he has a chance if he doesn't declare this year. He’s a first round pick. He has all the tools that he would want an NFL quarterback and is very accurate when no one is coming at him. With that said, he struggles with pressure in his face. It’s an experience issue. He’s raw in a few areas and could honestly use another year, though I can’t see him turning down the money. I think he’ll go somewhere in the middle of the first round. 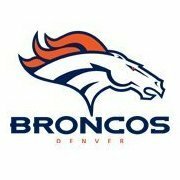 I think he is going to have some growing pains but eventually be a very good NFL quarterback. Ceiling wise, that's the draw. Fromm and Eason are going to be well-thought of, but Haskins & Tua are going to have the "sky is the limit" ceiling. So if you are Haskins, do you take a mid-1st selection in 2019, or a potential to be a top 3 choice? A top 5 pick gets 27-32M guaranteed. A top 12-15 pick gets 12-15M guaranteed. Unless the family is in financial hardship, there's a strong argument to wait an extra year (and if you can, take out an insurance policy to mitigate the risk - it can't remove all of it, but then makes it way easier to stomach). Love this guys raw tools. I'd definitely be A-ok drafting him with our pick which currently sits at #6 overall. Him and Herbert, at this point in time, are the only two I feel that about. He plays with the best WR core in college football by far. If a WR core is three players sure, Alabama has the best. If a WR core is the entire team of 7 plus, Ohio State has the best. Is Jeudy better than any Ohio State WR, yes, but in terms of overall depth it is Ohio State by far. Jeudy and Ruggs are a better one two combo then you have Waddle sure, but not as a 7 deep group top to bottom. That is what I mean by best WR core. 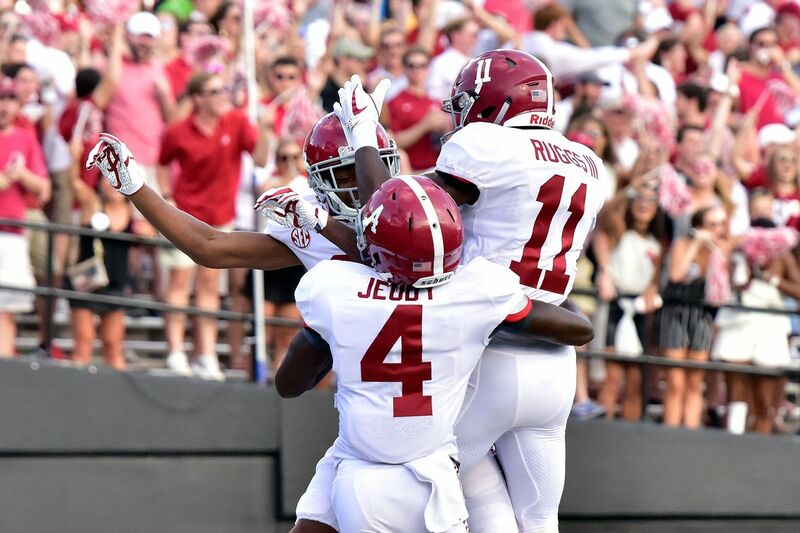 Could totally argue Alabama had a better WR core last year when they had Cam Sims and Robert Foster, two guys who are currently on NFL rosters now both, and they did not even see the field barely and they had Ridley as well along with Ruggs and Jeudy also. For selfish reasons I hope Haskins as a mid first round pick comes out this year, so the Patriots can trade up and grab him. Dwayne seems like the kind of prospect that if he was drafted in the late first by a team like New Orleans (too bad they don't have a pick), New England, Pittsburgh, or Los Angeles, could use some time to get the experience that he needs and step in after one of those other great QBs retires. If you throw him into the fire right away, I don't see that ending well. He struggles against pressure and isn't all that athletic, with a sloppy throwing motion at points and super clean other times (I don't know why this is the case). He does have a great arm, is very accurate, and does well as a whole going through his progressions. He also has a tremendous huddle presence and demeanor. If given time, he can make you pay. He's also in a VERY weak QB class as a whole, so I'm betting on him leaving and probably getting over-drafted. Going to a team like JAX would be about worst case scenario for him though. Well although you might lose out on 15-17 mil in your first contract of guaranteed money, you'll be able to get to your second contract a year sooner which would increase your potential long term money. So if you think you're going to be a good/great NFL QB, dip out early. I think if the Saints fell in love with him and he came out, they should trade their 2019 2nd, 2020 1st, and whatever it took to get back into where drafting Haskins would take. I think him sitting behind Brees for 1-2 years and being put into the Saints offense with Kamara, Thomas, Smith, etc and bring more of the Ohio State boys together would be a perfect fit for the teams long term success. Plus with all the young talent the Saints have giving up future picks probably is in their best interest as they'll need to start paying players soon.